During our school supply Paint & PLAY challenge I was reminded of one of my favorite homemade paint recipes and decided to whip some up. 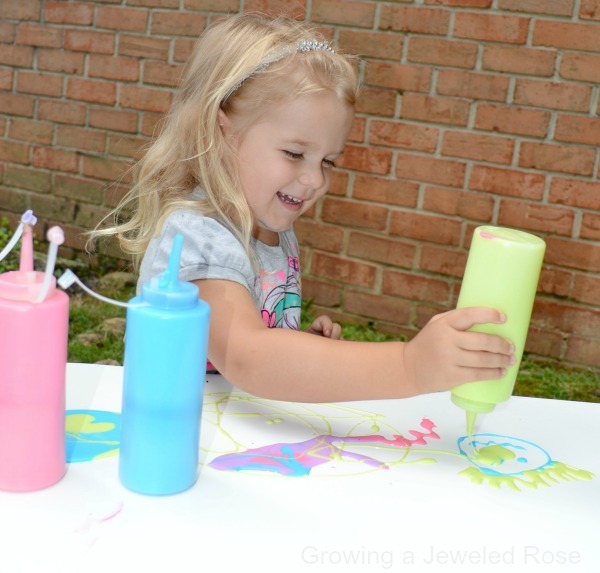 Not only is this Doodle paint super fun for kids, but it could not be easier for parents to make! 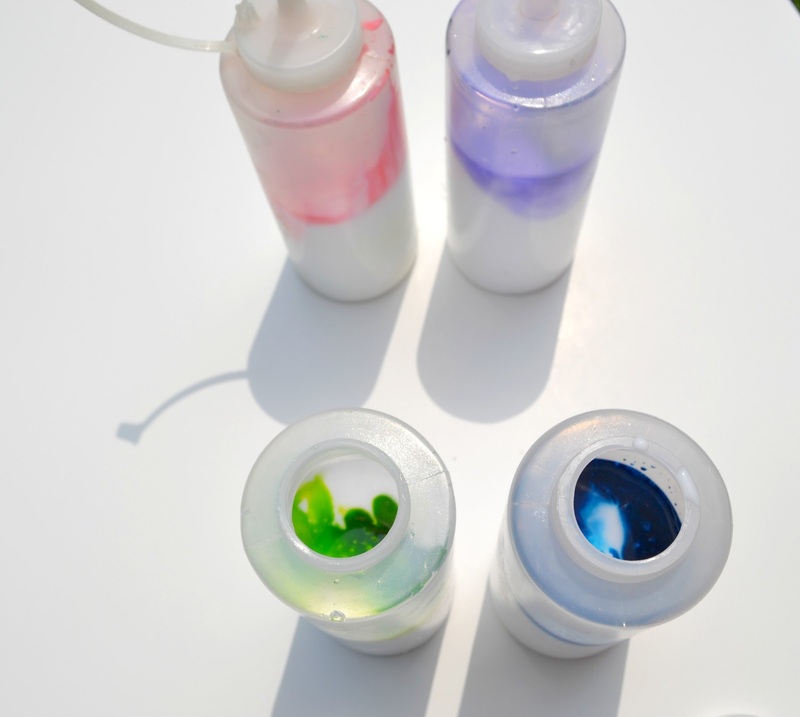 All you have to do to make this super fun paint is add a few drops of food coloring or liquid watercolors into white school glue and mix. 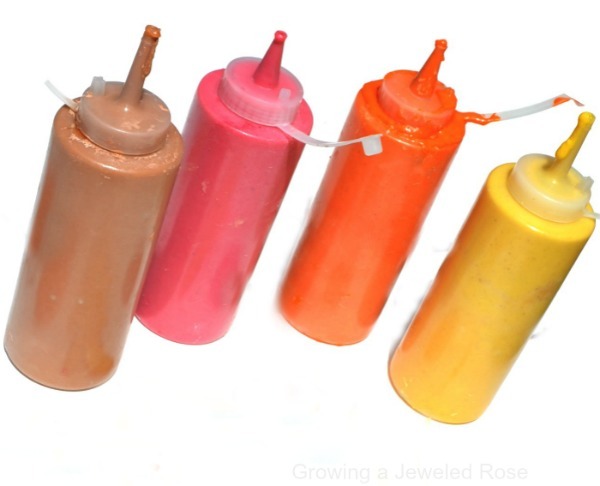 We used squeeze bottles because we buy our glue in bulk. 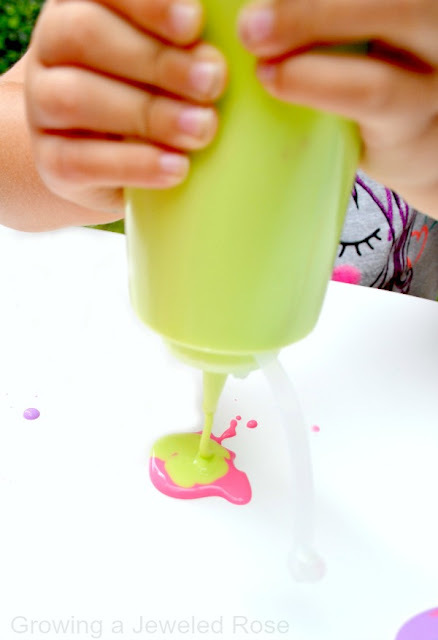 It saves us money over time because of all the play recipes we create with glue, but you can buy three packs of school glue at the Dollar Tree. Why not buy two three-packs and make six paint colors already in their own squeeze bottle? I find it helps to use a butter knife or similar object to stir the glue before putting on the cap. Then you can give the bottles to the kids and have them shake them up. 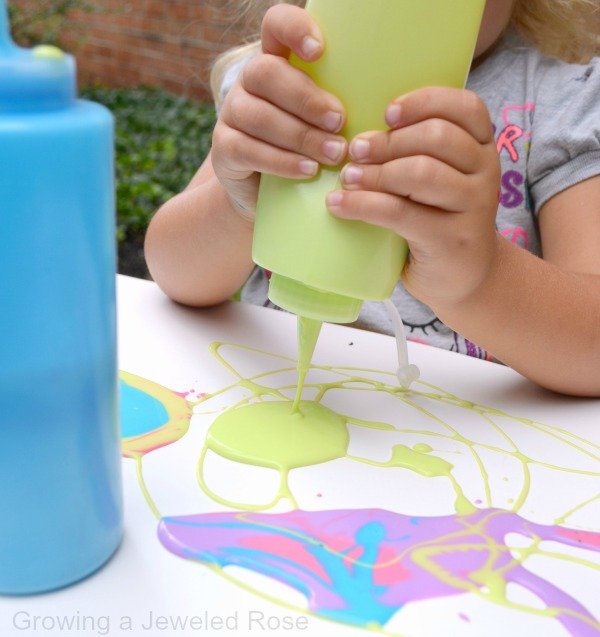 This paint is really great for fine motor skills, too! This paint also dries hard and raised on paper which is really neat! 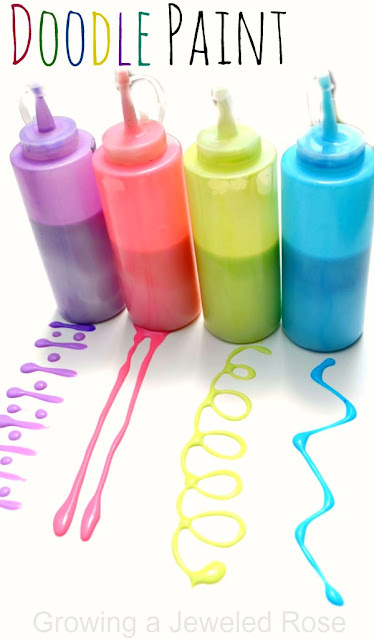 It can be used as a colorful glue for arts and crafts, too! I also LOVE that you can keep your doodle paint indefinitely, unlike many other homemade paint recipes that use flour and other kitchen ingredients. 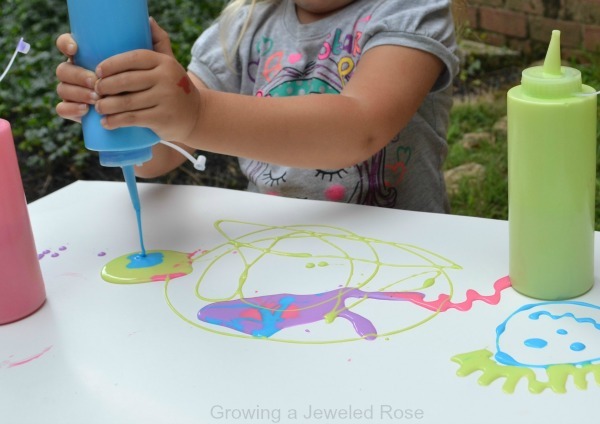 Use your doodle paint on wax paper to make fun window cling art. Once dry you will be able to peel kids creations off the paper and stick them to the window.